The tailings pond at the OceanaGold mine in Dipidio. Before OceanaGold began to systematically remove any trace that Dinkidi Mountain ever existed in northern Luzon&apos;s Sierra Madre range, 100 farmers raised rice and citrus crops on farmland they had cleared in the mountain&apos;s shadow. 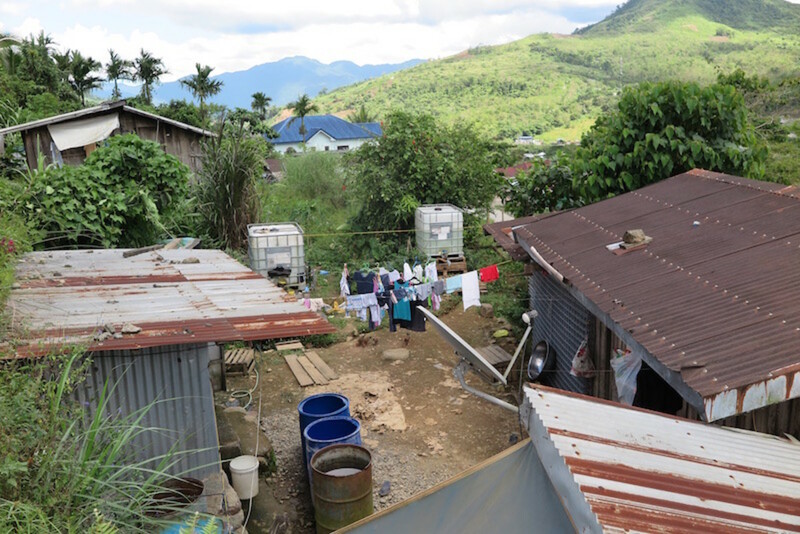 Didipio was a village of 700 residents, many of whom settled on Dinkidi&apos;s east side in the 1960s and &apos;70s after walking, with their children in tow, for two days on steep forest trails. In many ways Didipio was a rare place of hard work and solitude, a village difficult to reach by vehicle or on foot, and distant from the mainstream of Philippine life. 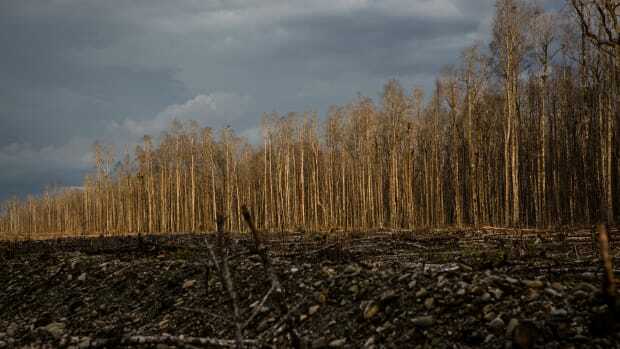 Many of those settlers—a minority in a village that today has 3,000 residents—blame Australian-Canadian mining company OceanaGold for ending Didipio&apos;s era of agrarian calm. Starting with construction in 2011, it took just two years for the company to replace Dinkidi with an open-pit gold and copper mine nearly a kilometer in diameter and nearly 1,000 feet deep. Millions of tons of mine waste forms a perimeter of terraced rock around half of the mine. Above that is a green lagoon filled with liquid tailings, spreading over more than 250 acres where rice was once cultivated. A portion of the public opposition to the mine also is due to financial fairness. The company earned $275 million in copper and gold sales last year, according to the Philippine Mines and Geosciences Bureau. The company says it employs 1,800 people on 12-hour, 14-day-on, seven-day-off shifts. It houses and feeds its staff in a 566-bed compound within the mine&apos;s fenced boundary. OceanaGold says that 40 percent of its workforce comes from Nueva Vizcaya, the local province. The village of Didipio, in the meantime, looks to have benefited from virtually none of that wealth. A number of residents work at the mine, earning about $1 an hour. But there are no restaurants, no hotels, and just a handful of front porch stores in a collection of shabby wooden homes. "It hasn&apos;t made life here better," Lorenzo Pulido, a Didipio resident and board member of Desama, a mine opposition group here, says through an interpreter. "Farming is gone. A lot of trees were cut. When the mine closes what will we have here?" OceanaGold disputes Pulido&apos;s assessment. In a message to Mongabay, the company says mine workers are paid 50 percent above the prevailing regional wage, and since the mine&apos;s opening "there has been a significant increase in large-scale vegetable farming. What used to be idle mountainside contours are converted." The company also noted that it had spent an average of $3.4 million annually "for the development of host and neighboring communities." Since the first engineers explored for minerals near Dinkidi Mountain in the late 1980s and early &apos;90s, Didipio and other communities of northern Luzon Island have been at a rolling boil over mining. A 2012 investigation by Esther Roxanne Bans-Veridiano, the executive director of Kaduami, a regional development group, found numerous clashes between indigenous people and mining companies seeking mineral claims. From 2006 to 2010, the national government deployed military units to put down opposition campaigns. Bans-Veridiano counted eight opposition leaders murdered between 2005 and 2007. In 2010, Gensun Agustin, a 30-year-old leader of an anti-mining group, was assassinated by two men on a motorcycle. OceanaGold&apos;s open pit gold and copper mine in Didipio. Not all of the distaste for mining that opponents express about the Didipio mine can be laid at the feet of OceanaGold. Hard rock mineral mining in the Philippines, as it is almost everywhere else in the world, is not only a threat to the environment and a hardship for residents—it is also an ordeal for mining companies, investors, financiers, contractors, and customers. Developers probe and produce where minerals lie. The islands that rise from the Pacific to form the Philippines are the product of molten magma, which boiled up near the beginning of planetary time, collided in great tectonic shifting, and cooled in trenches and thick zones of sediment. 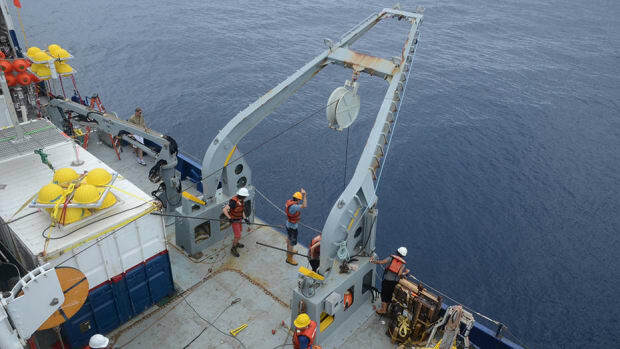 The volcanic flows and colliding plates contained deposits of gold and copper and nickel that eons later Filipino citizens and modern-day geologists discovered in alluring abundance. The Philippine Bureau of Mines and Geosciences values that mineral treasure trove at nearly $1 trillion. But tapping into the rich veins of copper, gold, nickel, and other metals, a powerful lure during Spanish colonization of the Philippines, has proved to be one of the seminal cultural and economic struggles since an independent democracy was established in 1946. The world&apos;s big and small mining companies arrived at the invitation of the Philippines government to stake out gold and copper claims in northern Luzon. Reserves of nickel and copper lay on Mindanao and smaller outlying islands. The mineral feast that the Philippines anticipated, though, has not materialized. Like the fires that strip gold and copper and nickel ores of impurities, the reasons behind the fractious Philippines mining struggle are heated in a crucible of conflicting forces. Two are especially significant. The country and the mining industry are devoted to expensive design principles that focus on building big open-pit mines to take advantage of economies of scale. 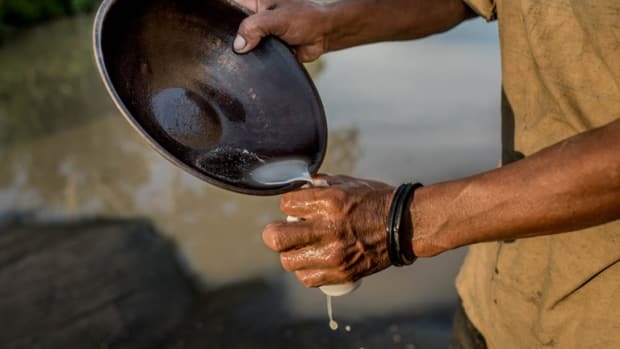 But operating such mines in a wet, muddy, tropical environment yields ecologically ruinous practices that cause rampant erosion, ocean pollution, and, in 1996, produced one of the world&apos;s worst toxic mining disasters. 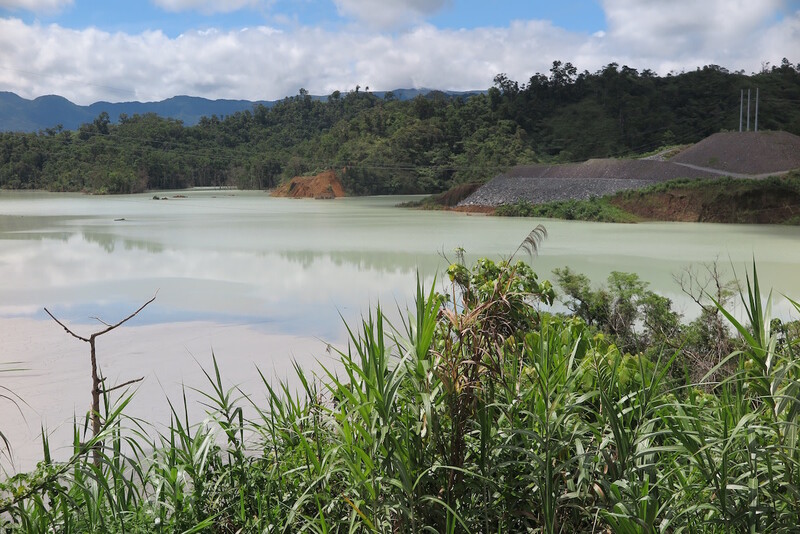 The toxic tailings pond at the Marcopper mine on Marinduque Island, east of Manila, ruptured. Millions of gallons of poisonous muck poured down the river and into the sea, displacing 20,000 people and wrecking a vital river and near-shore fisheries. Abandoned equipment and toxic mine sludge occupy the abandoned Marcopper mine on Marinduque. 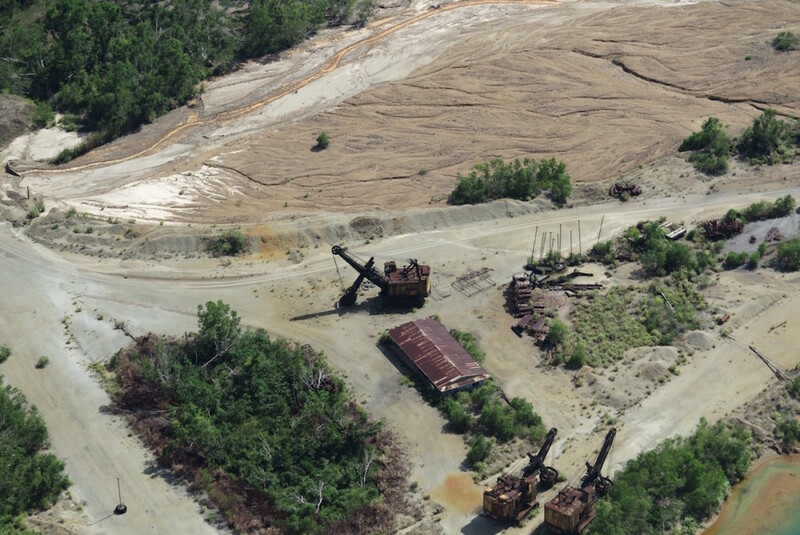 A breach in the mine&apos;s tailing pond poured millions of tons of mine waste into the Boac River. Influenced by conflicting demands from the mining industry to make it easier to invest, and by thousands of people affected by ecological disruption, the country has never settled on a stable mining policy. In 1995, it approved a national statute to encourage investment through tax abatements, allowing 100 percent foreign ownership, and generous land grants. The Marcopper disaster the following year called into question the wisdom of the open-door policy. In January of 2004, the Philippine Supreme Court ruled the 1995 policy was unconstitutional. Eleven months later, following intense pressure from mining companies and their allies in Congress, the court rescinded its decision. As the government sought to open more of the Philippines to new mines, people fought back. In a nation of 103 million residents that is growing by 1.5 million people a year, there are more people in more places who are better prepared than ever to blockade mine entrances, lobby Congress, file legal cases, and halt another Marcopper disaster. Many died in clashes with security forces and opposition leaders were murdered. The activism provoked the government. 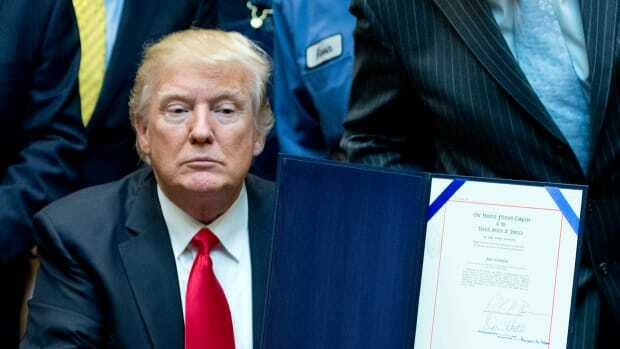 In 2012, President Benigno S. Aquino III signed an executive order that halted mining licenses until a new mining law was developed by Congress. Aquino&apos;s order also put sensitive lands off limits to new mines. In 2016, President Rodrigo Duterte was elected, in part on an anti-mining platform, and hired activist Regina Lopez to be secretary of the environment to enforce water and land protection laws in the mining industry. Though the Philippine national government controls and regulates all natural resources, more than a dozen provinces and municipalities have approved local mining bans. 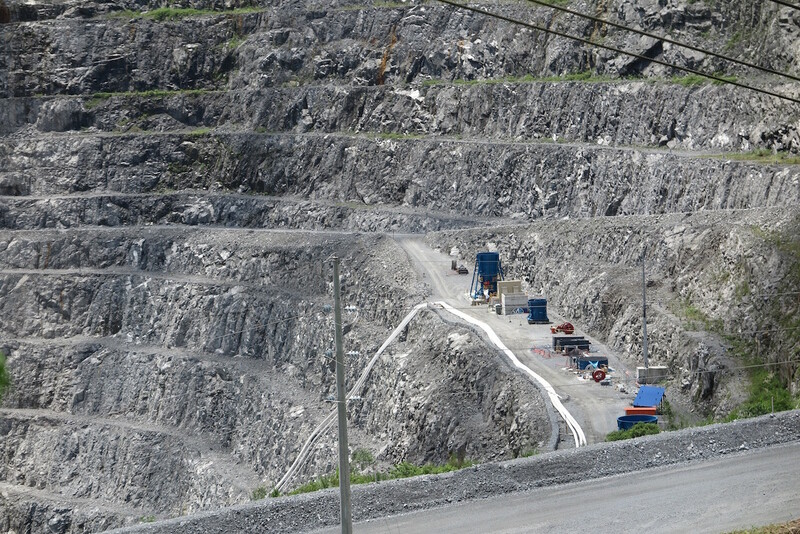 OceanaGold&apos;s Didipio operation is one of two mines in Nueva Vizcaya Province, which three years ago approved a mining ban aimed at blocking the development of 51 new mines proposed for the region. The province is primarily concerned with the threat mining poses to its rivers and watersheds. "It&apos;s a threat to our economy," Carlos Padilla, the governor of Nueva Vizcaya, said in an interview. "We are basically an agricultural province. These companies are adversely affecting our rivers. Our farmers rely on the rivers for irrigation. About 40 percent of our people are in farming. Our province is one of the top seven rice producers in the Philippines, one of the top four corn producers. We would be better without mining." Such resistance, coupled with erratic metal prices, changing markets, and rising costs make investing in big Philippine metal mines exceptionally risky. Two years ago Glencore, one of the world&apos;s largest mining companies, pulled out of the development of the projected $5.9 billion Tampakan copper and gold mine on Mindanao island, viewed by the industry as one of the richest precious metal prospects on Earth. The mine has been the focus of fierce local conflict for a decade. The essential goal of mining opponents in the Philippines is to cause disruption, which commodity markets hate. The opposition campaigns, including the one waged over the last year by the Duterte administration, have been especially successful, particularly in the Philippine nickel sector, the world&apos;s largest nickel ore exporter. 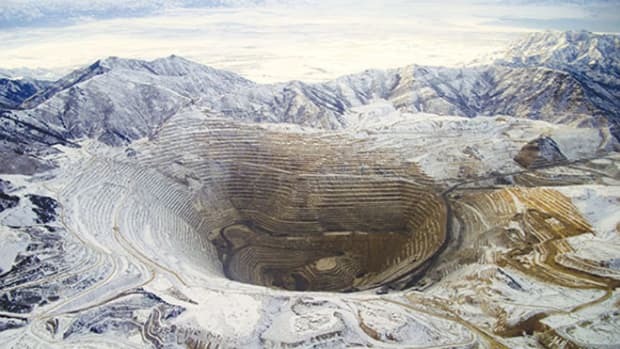 In February, Lopez recommended that licenses for 26 big metal mines be canceled or suspended for environmental violations, most of them nickel mines. Markets reacted. Global nickel prices soared. Buyers, especially China, the largest importer of Philippine nickel ore, also reacted to the aggressive oversight. By January of 2017, Philippine nickel ore imports to China fell to 779,000 metric tons, according to industry data, a 20 percent drop from January of 2016. The Philippines share of the global nickel trade, once nearly 10 percent, has diminished to less than 8 percent. Lopez lost her job in early May after the Philippine legislature decided her 10-month campaign to enforce environmental laws in the mining sector was too aggressive. But the orders are still in effect. Gold has not encountered the same turbulence in the market, but gold mines have been drawn into the country&apos;s stiffer regulatory goals. In February, Lopez recommended that the Didipio mining license be suspended until the company resolved "potential adverse impact to the agricultural areas," and other objections raised by Nueva Vizcaya. OceanaGold&apos;s executives were appalled. 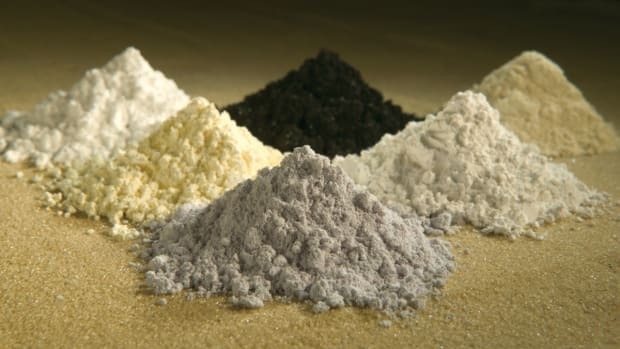 The company, which has been awarded numerous international honors for stewardship and workplace safety at its Didipio mine, appealed the decision. The mine is operating while the case is decided. "We pride ourselves, and have been recognized on numerous occasions for being a responsible mining company with a long history of operating to the highest industry standards on health, safety, environment, community, and sustainability," Mick Wilkes, OceanaGold&apos;s president and chief executive, said in a prepared statement. Despite the area&apos;s vast mineral wealth, Dipidio is a town of ramshackle homes. Members of Desama, the opposition group, are not impressed. In October of 2009, as the company demolished homes to make way for construction, residents engaged in pitched battles with armed security guards and police officers. In 2011, OceanaGold was cited by the Philippine Commission on Human Rights for various violations for the rough way they treated residents and managed armed security forces in a way that menaced people. "The situation in Didipio constitutes a continuing threat to the security of persons of the people in Didipio because it exposes them to constant uncertainty," says Christopher Louie Ocampo, an executive assistant to the Commission&apos;s chairperson, in a letter to local activists. Ocampo called it "an incessant fear that something untoward might happen to them, their family or their properties. Rightly so, the local government units in the area expressed grave concerns that the situation would lead to breakdown of peace and order in the province." The commission urged the government to revoke OceanaGold&apos;s mining license. Until Lopez took command of the DENR the government ignored the recommendation. OceanaGold says it is likely to mine in Didipio until 2030. Its closure plan calls for allowing the pit to fill and become a lake. Pulido and his Desama colleagues roll their eyes. No one is counting on Didipio becoming a lakefront resort. Keith Schneider is an international correspondent specializing in global trends related to water, energy, and food. A new book traces our dependence on rare elements—and the environmental costs of a revolution in global mining.